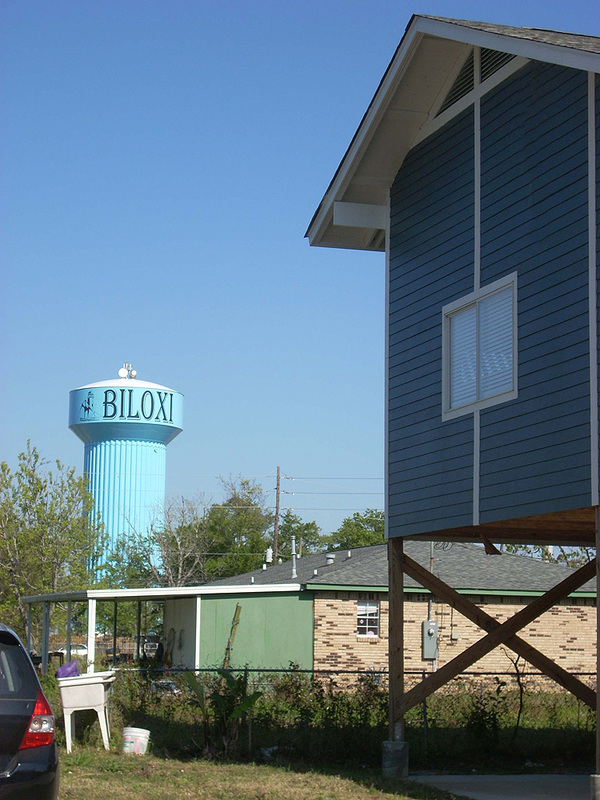 Through a rebuilding assistance program sponsored by Architecture for Humanity, MC2 was invited to submit proposals for home designs in East Biloxi that meet the new challenges of disaster-mitigation in the post-Katrina environment. 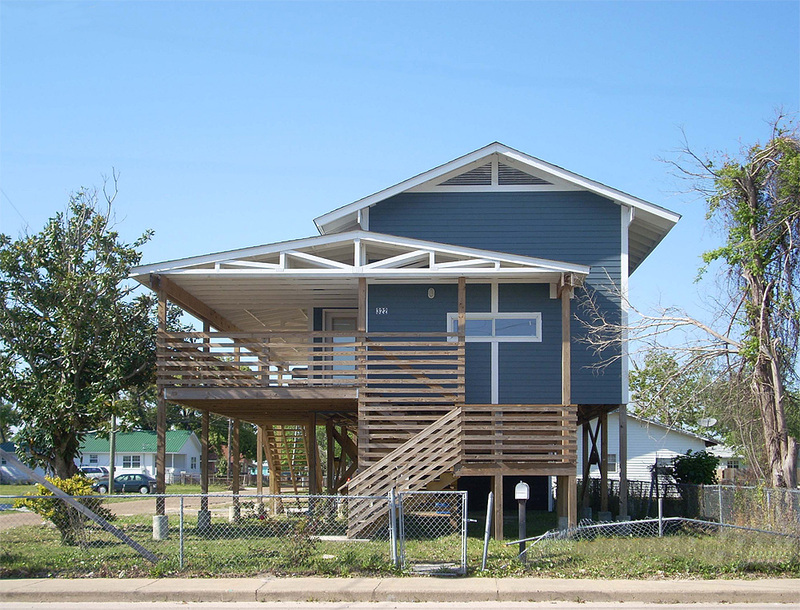 The purpose was to provide hurricane victims with affordable home designs meeting the new requirements and assistance in rebuilding on the lots of their destroyed homes. The design submitted by MC2 was inspired by the traditional bungalow common throughout the Gulf Coast region. 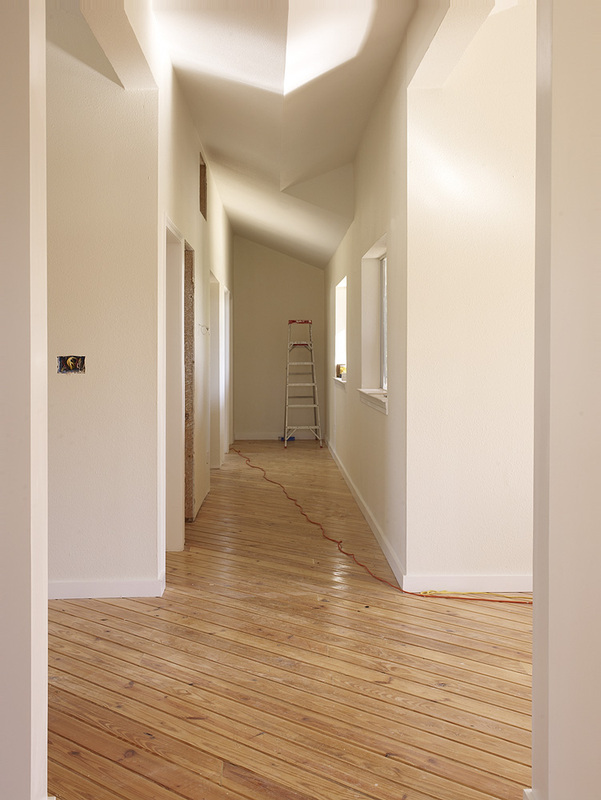 The plan is that of a simple “shotgun” house with a front porch, a hallway front to back and rooms to one or both sides. It was conceived as a modular system for simple, economical, and flexible construction. 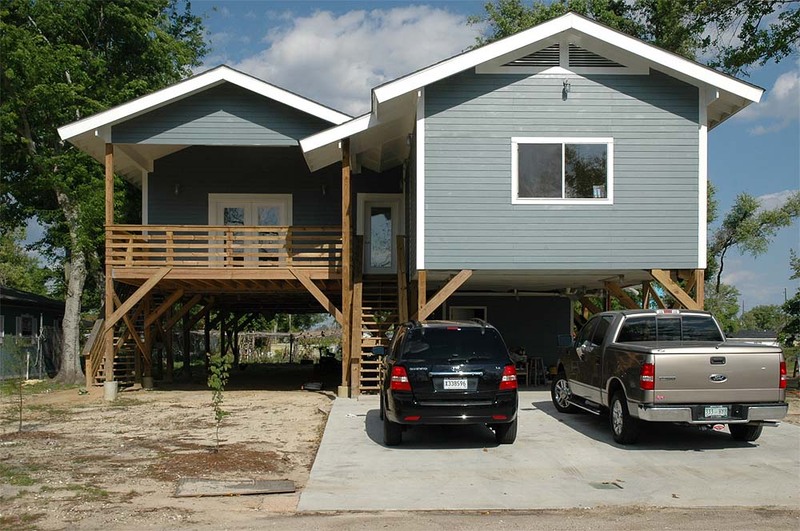 Two houses based on the modular design were constructed on a budget of $75/sq. ft. After meeting the Nguyen family and the Tran family at an AFH sponsored architecture fair in Biloxi, MC2 adapted the generic design proposed in the first phase to the unique needs of each family’s needs and site restraints. The house for the family of 6 is a double bungalow arranged to embrace a large oak tree, the only thing remaining on the lot from before the storm. One bungalow houses the master bedroom, while the other has three bedrooms and two baths for the children. 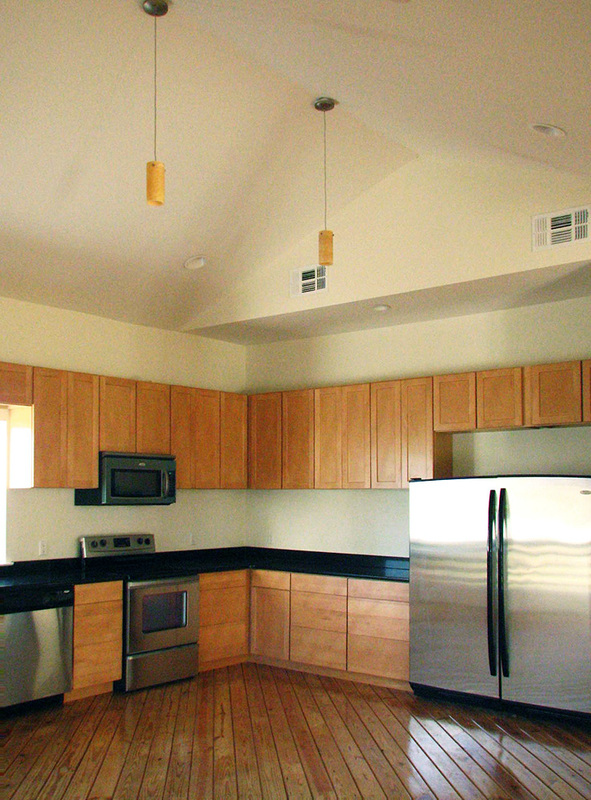 The two bungalows share a common living room, dining room and kitchen. The kitchen is designed to open to both the dining room and the back porch so the family can enjoy dinners and parties underneath their beloved oak tree.The first meeting the firm had with the Nguyen family was under the oak tree, and hopefully it will mark the beginning of the Nguyens’ new lives for many generations to come. The Tran house is located on a small corner lot measuring 50’ by 100’ with substantial building setback requirements on all sides. 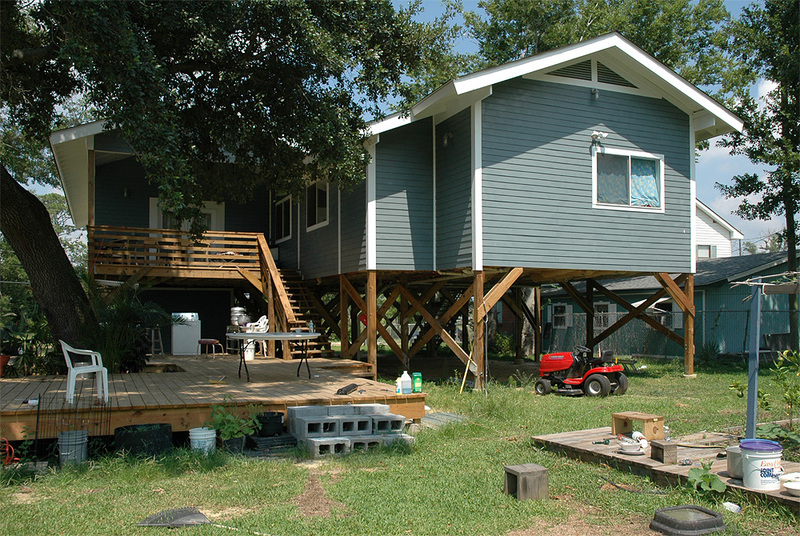 Since the lot’s buildable area is small, a single bungalow with two modules was used. The Tran house has a living room, dining room, kitchen, three bedrooms, two baths and a utility room. A generous wrap-around porch extends the small living quarters into the outdoors.